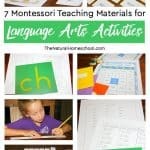 Have you ever implemented any Montessori Method works in your home or homeschool? I know that it can be a daunting thought, but believe me, including it in your daily lives is easier than you think. Let me show you a couple of ways here. Practicing Fine Motor Skills for preschoolers is paramount. They help with penmanship, handwriting, and many practical life works like tying shoelaces and making one’s lunch. 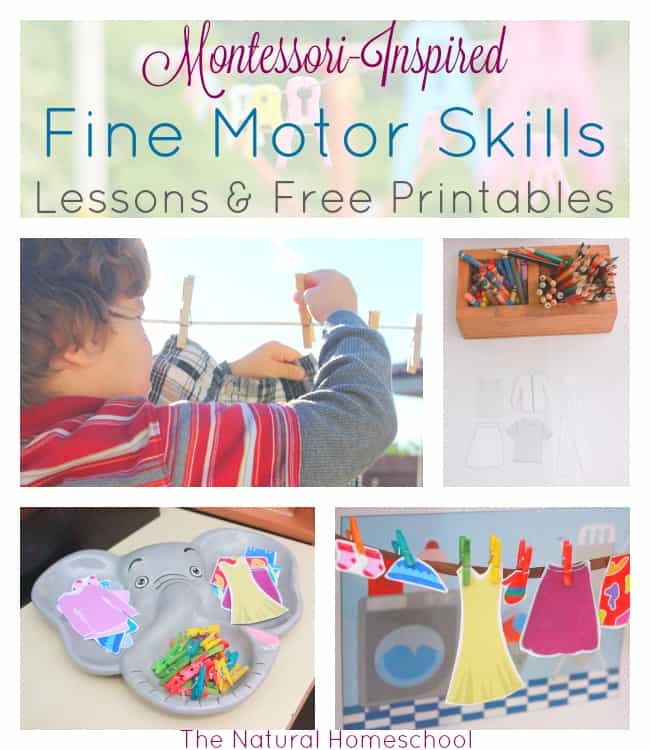 I recommend you consult my post on 100+ Fine Motor Skills ideas to be inspired. In our first lesson, my son stood on a learning tower to reach our clothesline. He got a few clothing items out of his bedroom and, using wooden clothespins, he was using his pincer grip to hang his clothes up on the line. It took him a few attempts for him to master the skill, but he enjoyed it. He had been clipping wooden clothespins to items before, but this is the first time his work included clipping an article of clothing. I cannot stress enough how important this skill is for children. I recommend making this work available for children to attempt several times a week, as they are interested. Encourage them, but don’t force them. In our second lesson, I made a set of printable articles of clothing, some colored and some without color. I printed all the pages and I also printed the pretty background of a laundry room. While I set up the background and the tray, my children were practicing their fine motor skills by coloring the colorless articles of clothing. They got really creative and designed quite unique looks. The work setup consists of: a beautiful laundry room background, a clothesline (think ribbon) and a tray. The tray contains the articles of clothing and mini wooden clothespins. 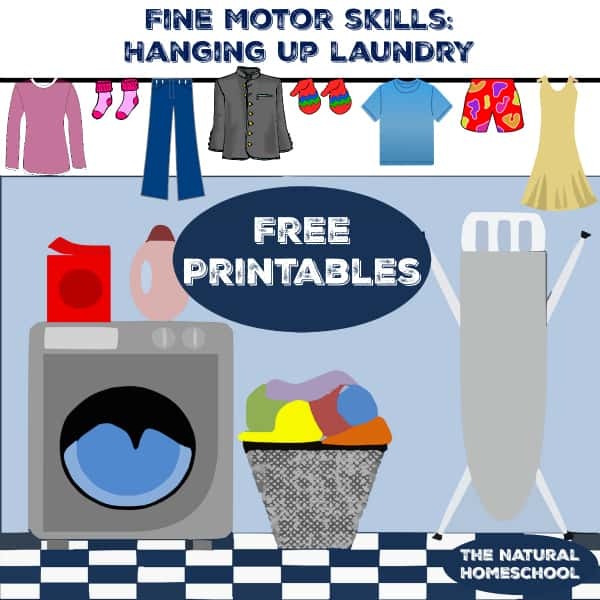 My children took turns picking paper articles of clothing and tiny wooden clothespins to hang up the items. At first, it was difficult to use the tiny ones. My son even mentioned that it was easier to use the regular clothespins. I would say to let them try both the many and the small-sized clothes pins to see which ones work best for them. My daughter thought it was a beautiful setup and my son thought it was nifty. I personally hope that this will encourage them to be interested to continue helping with laundry like they have been so far. They are now able to sort and fold most of their clothes as well as put them away in the correct bins. They still have to work on being careful not to disturb the other articles of clothing when they reach in for something to wear, but it is a process. 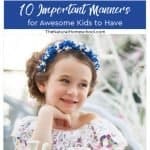 Now, come grab these beautiful printables for your children!